The first of its kind in Malaysia and in the region, CGI endeavours to deliver the best care to patients with gastrointestinal and liver diseases. 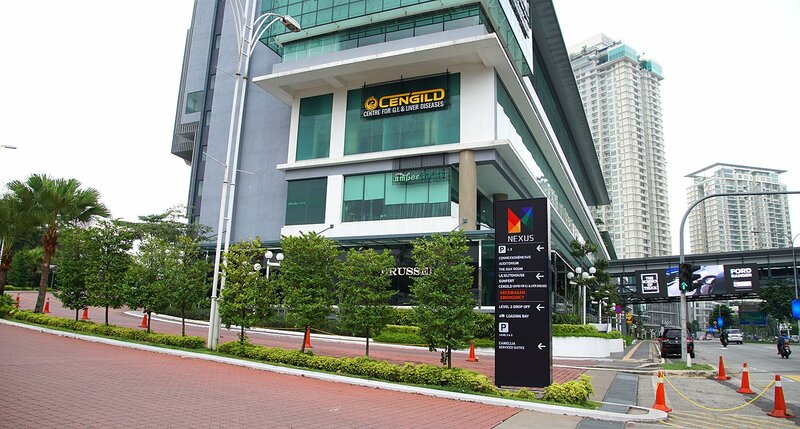 Strategically located at the heart of the rapidly developing landscape of Bangsar South, CGI is a purpose built, fully fledged hospital, equipped with top class diagnostic and therapeutic facilities in Gastrointestinal Endoscopy, Gastrointestinal and Liver surgery and in diagnostic and therapeutic Radiology. Occupying a space of 36588 sq ft at Nexus, Bangsar South, its facilities include 2 fully equipped Operating Theatres and 3 Endoscopy suites. Imaging facilities include liver fibroscan, ultrasonography, multiphase state of the art CT scanner and fluoroscopy and angiography equipment for ERCPs and other interventional radiological procedures. CGI houses 28 hospital beds (including day care, intensive care and high dependency beds) and is supported by a comprehensive in-house laboratory and Gastrointestinal physiology equipment capable of performing the whole range of tests for Gastrointestinal and Liver diseases. At CGI we have assembled a team of leading and highly experienced experts in gastroenterology, hepatology, gastrointestinal surgery (upper gastrointestinal, hepatobiliary and pancreatic and colorectal surgery) and interventional radiology who will work as a multidisciplinary team to provide the best possible care to patients. Our aim is to provide continue medical education to all of its staffs to ensure they remain at the forefront and up to date with the latest cutting-edge technology and deliver the best care to our patients. CGI has also identified future recruitment of leading consultants in gastroenterology, hepatology and gastrointestinal and liver surgery. Facilities will be continuously upgraded with time and CGI aims to expand its scope into research. Continuous medical education will be one of our core activities and this will include postgraduate and teaching sessions for practicing doctors and fellows in training. At the same time, cognizant of our social responsibility, CGI plans to organize regular health seminars for public education. Ultimately CGI aims to be a one-stop Centre of Excellence for Gastrointestinal and Liver disease in Malaysia.